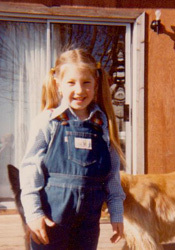 As a Certified Dog Groomer and Owner of Barks and Bubbles Mobile Pet Salon in Sonoma County, Stephanie moved to Sonoma County as a toddler and grew up in rural Santa Rosa on farms with domestic and exotic pets. Some of her first canine pets included an Afghan, Giant Schnauzers, Rottweilers, Samoyeds, and various Spaniels. Later, there were German Shepherds, a Doberman Pinscher, and more Schnauzers! After graduating from San Jose State University, she worked in Staffing and Human Resources. For the last several years, Stephanie has focused her attention on being proud Mom of the most beautiful tri-colored 13-inch, Beagle named Annie, and recently adopted a Miniature Schnauzer named Max! Stephanie is a Member of the American Mobile Groomers Association and received a Certificate for completion of a 600-hour Professional Groomer Course from Madeline's Institute of Pet Grooming in Santa Clara, California, in May 2007. She keeps current on grooming trends via professional magazines, online groups, and by attending seminars, trade shows, and dog shows throughout the year. What is Barks and Bubbles Mobile Pet Salon? If you have a canine living with you at home, chances are that its coat, nails, and ears needs to be cared for by a groomer just like a veterinarian cares for a canine’s health with check-ups, teeth cleanings, or helping cure an illness. Many dog owners wash their dogs at home every now and then. Others take their pet to a nearby grooming shop by driving the dog to the grooming shop, it gets crated while it waits its turn to get groomed. After grooming, the dog is crated again while waiting for its owner to be called to pick up the dog. Some dogs and dog owners are ok with this process, while others are not. 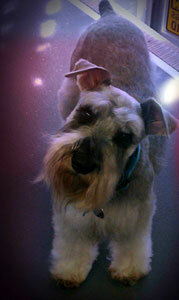 Mobile grooming service may be for your dog and you! Mobile grooming offers a variety of conveniences for both you and your dog. You don’t get your car dirty, making four trips to drop off and pick up your dog, while waiting hours in between. Your dog does not need to ride in a car or even leave home. There is no waiting in a crate, surrounded by other barking and scared dogs until it is his turn. Barks and Bubbles Mobile Pet Salon arrives at your home, walks or carries your pet into the salon, where a quiet setting, warm bath, and personalized attention by a professional pet stylist await. The result is a clean, healthier, happier dog.